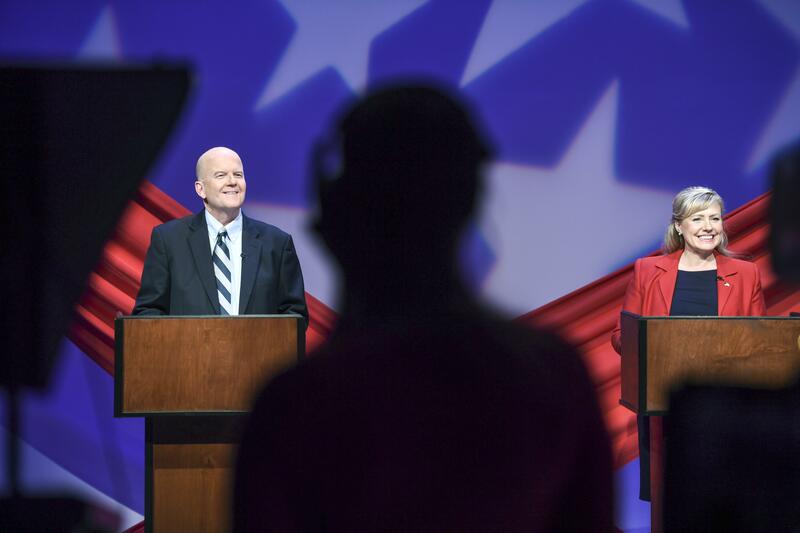 State House of Representatives candidate Jenny Graham defended Washington’s death penalty in a televised debate taped Friday, saying she didn’t believe it disproportionately affected minorities despite evidence to the contrary. In doing so, she referred to minority communities as “color people,” a reference she said wasn’t intended to offend. Graham said she meant no harm by the “color people” reference, which was made after her opponent, Democrat Dave Wilson, said he supported capital punishment for certain crimes but remained wary that its distribution was unfair to “people of color.” A 2014 University of Washington study found that jurors in the state were “more than four times more likely to impose a death sentence if the defendant is black” based on an analysis of 330 aggravated murder cases between 1981 and 2014. Graham is correct in her point about the current number of white inmates on death row compared with black inmates. Of the eight people waiting for execution who were granted a reprieve by the state Supreme Court on Thursday, five are white and three are black. However, black people make up 4 percent of Washington state’s population, according to the latest statistics from the Washington Office of Financial Management, while 37.5 percent of the inmates on death row are black. Kurtis Robinson, president of the local chapter of the NAACP, said after hearing a recording of the debate that he empathized with Graham’s passion as as victim. He said that shouldn’t prevent her from acknowledging that the system is unfairly weighted against people of color. “She’s not embracing the historical context behind the way the criminal justice system has ruled,” Robinson said. A convicted felon himself, Robinson has worked in the community on criminal justice reform efforts and previously chaired the group’s criminal justice committee. Robinson said he also believed her choice of words wasn’t intended to cause harm. Listen to “At the Fair: State House candidates Jenny Graham and Dave Wilson speak with Government Editor Jonathan Brunt” on Spreaker. In an interview after the debate, Graham said she didn’t remember her exact choice of words in answering the question. She noted that she read a partial list of the victims of the Green River Killer, which included several black women who were among the 49 known victims of Ridgway. Wilson brought up her remarks when addressing another question from panelists about Graham’s attendance at a rally held in August by state Rep. Matt Shea that was intended as a protest against the gun initiative on this year’s ballot. Graham said she opposed the measure over privacy concerns for citizens and what she called unenforceable provisions, while Wilson said the measure would make schools safer by increasing the age to purchase a semi-automatic weapon and requiring additional gun storage safety measures. Wilson said Graham’s attendance at the rally, which was reported to have organizational help by a group called Patriot Prayer, should raise concerns. Event organizers have said the group instead helped organize a coinciding event in Seattle. Patriot Prayer has appeared at the same events as those with ties to white nationalists. Nonetheless, Wilson said her attendance at the Spokane rally should raise concerns given Graham’s comments on race and capital punishment. Graham responded that her speech there had to do with public safety, and was one of three community events she attended that day that included people of various political persuasions. “I didn’t say you were,” Wilson responded. Wilson and Graham are locked in what appears to be a tight race for the seat in the Legislature that will be vacated by Rep. Jeff Holy, a Republican who is running this year for the district’s Senate seat. Wilson, an independent-turned-Democrat, captured 40 percent of the blanket primary vote in August, while Graham, a Republican, received 33 percent. Each party had an additional candidate in the primary and the total vote was almost evenly split, with Democrats taking a slight advantage. A Democrat has not held a House seat in the district, which represents Airway Heights, Cheney and other portions of southwest Spokane County, since 2010, when John Driscoll was defeated by John Ahern at the polls. Wilson is drawing on experience from running as an independent for Eastern Washington’s congressional seat in 2014 and 2016. Before running for office, Graham became active politically in lobbying for changes to state laws that allow victims of child abuse a longer period to report the crimes against them. The debate is scheduled to air in full on KSPS-TV on Monday at 7:30 p.m. It will also be available to stream on the station’s website, ksps.org. Editor’s note: Reporter Kip Hill served on the panel of journalists questioning the candidates for the KSPS debate, which also included Daniel Walters of The Inlander and Derek Deis of KXLY. This story was updated Oct. 15, 2018, to clarify who organized a Spokane rally in August that was brought up at the debate. Published: Oct. 13, 2018, midnight Updated: Oct. 15, 2018, 9:21 a.m.